The Kamloops Cowboy Festival will be celebrating it&apos;s 21st anniversary in Kamloops from March 16th to 19th. The Festival is a celebration of Kamloops&apos; western heritage showcasing the best in cowboy and western fine arts featuring poets, musicians, artists and artisans. It is a celebration of Kamloops&apos; history and is considered the biggest and best of its kind in North America. This festival highlights the Kamloops of the past, but many do not realize that Kamloops is still very much a cattle town. 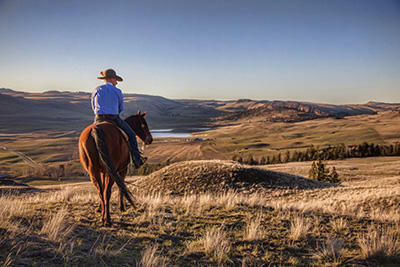 It&apos;s strong ties to the ranching community make it the perfect host for North americans interested in western heritage and cowboy culture.